A few weeks ago a friend invited us over for dinner. She is an excellent cook and made one of my favorite pasta dishes, a recipe from Michele’s book 1,000 Italian Recipes (Wiley), Fettuccine with 1,000 Herbs. 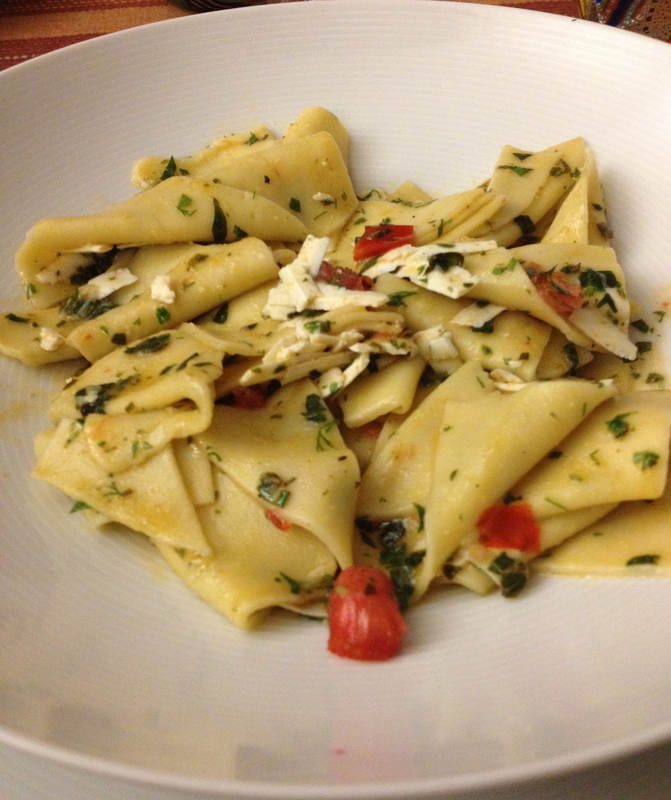 The pasta was al dente and the aroma of the herbs on the hot pasta was wonderful. 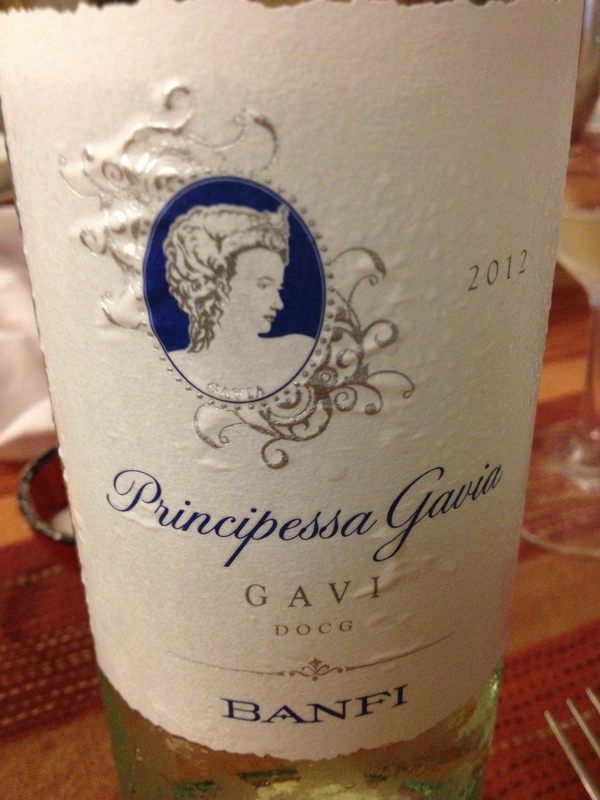 The wine that she chose to accompany the pasta was a Gavi, Principessa Gavia. This was an inspired choice as the wine complemented the herbal and tomato flavors in the sauce. It was a truly perfect match. Principessa Gavia 2012 Gavi DOCG Made from 100% Cortese. The grapes are estate grown and carefully selected. The clear must is gently pressed and fermented at a controlled temperature of 18 degrees for 20 days. The wine had forward fruit, a hint of apple, good acidity and a nice dry finish.